Most often, we are able to perform radiographs in an awake animal without causing any stress or pain. Occasionally a pet may need to have some type of anesthesia or sedation. The need for sedation depends on the comfort level of the pet, the type and severity of an injury and the area that needs to be X-rayed. If the pet is very painful or is very scared, sedation allows us to get the information that we need without causing more stress or discomfort to your pet. The anesthesia or sedation allows the veterinarian to position the pet without having to risk poor quality images (or having to retake film because the dog moved). It can help us to get optimal images without more your pet having any discomfort or stress. The procedure to get a radiograph of a pet is very simple. A cassette containing X-ray film is placed under the pet on a special table. The x-ray beam is on a mechanical “arm” and is positioned over the area of interest. The radiograph creates images on the film in varying shades of gray based on tissue density. Different positions and additional films allow the veterinarian to see different angles of the area. Multiple pictures reveal can show images of a fracture, tumor, obstruction or other health issues not visible in the first film. The process taking radiographs can take 15 to 20 minutes, depending on how many images are taken. The X-ray film is then processed. The veterinarian then looks at the films to diagnose the problem and can create a recommendation for treatment. 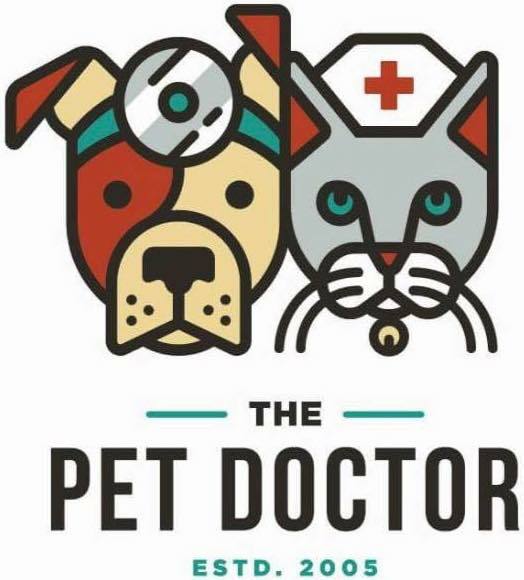 At The Pet Doctor, we have many different safety protocols in place to help care for both our patients and our staff. There are some safety issues involving the taking of radiographs. There is no danger to your pet during a series of diagnostic radiographs. For our staff members, we need to regularly evaluate their level of exposure to the radiation beam. At The Pet Doctor, we make sure that our radiograph machine is as safe as possible by having it evaluated according to established guidelines. Our AAHA accreditation also requires us to have a radiation safety program in place. This is one more commitment that The Pet Doctor has to provide the highest quality of medicine available. Dr. Hammerle taking radiographs of a kitten. We’re here to help! Click the button below to contact us directly through our website.